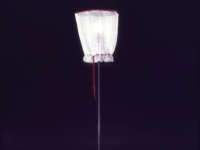 World famous Garbo, now available in the world. 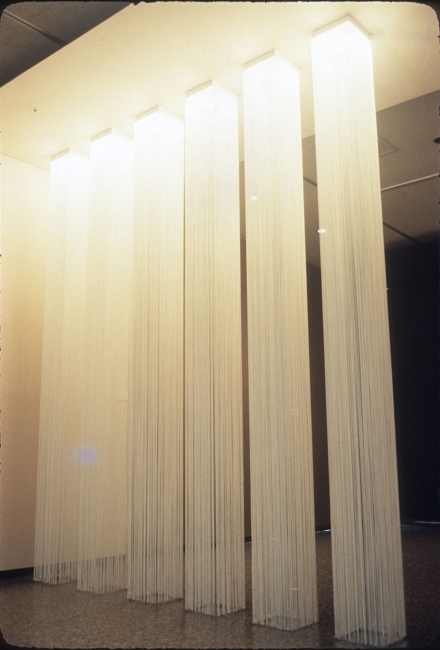 • The "desire image that wants to be surrounded and embraced light"
• includes the Light and Shadow of the effect such as the “shoji “ which is Japanese paper screen partition and light produces shaking soft partitioning and screen curtain of the light that it is. 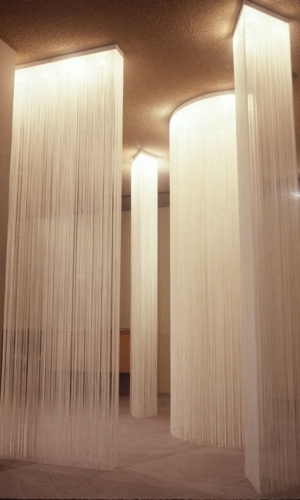 It is soft, and, for space of the hard stone or concrete, new lighting space to bring on with form of swinging string curtain is born. 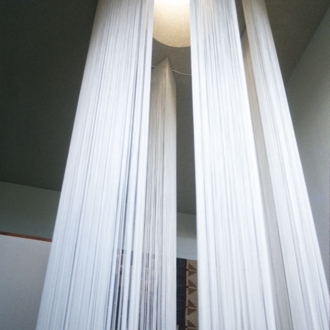 • A device of the light to show with the physical nature. 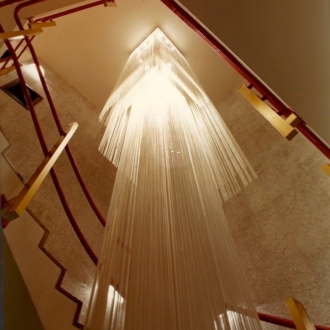 • The ceiling direct attachment lighting equipment series that I design square, rectangle, curved surface, triangle such as four types of an illumination screen design of the threads, and it is to put a unit together each, and space direction is various, and it is possible for variableness freely, besides. 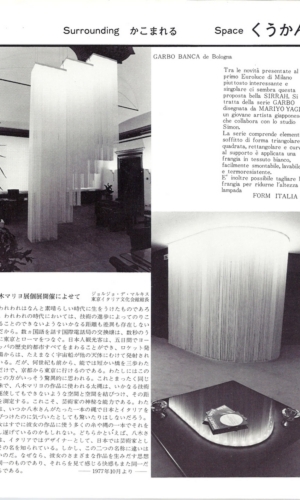 • It produced it by a collaboration design of Dino Gavina – studio Simon and Mariyo Yagi from Italian Sillar company in 1976 and was sold and did long hit all over the world. 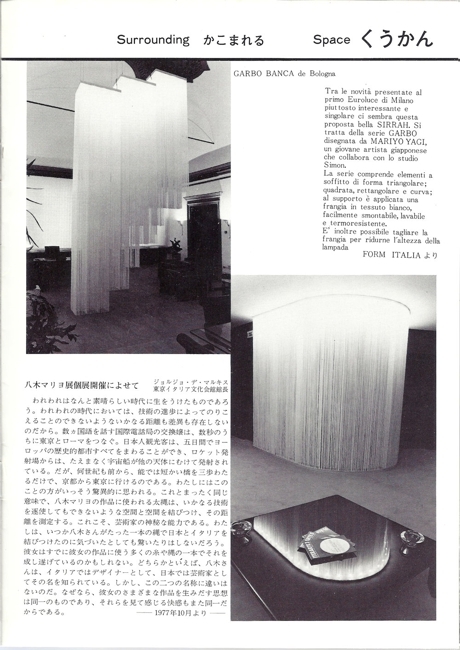 It was chosen as a modern Italian good design, and a patrol exhibition was held by Japan. 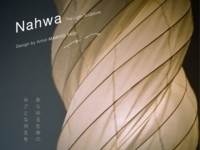 It is possessed as the selection, collection for Tokyo National Museum of Modern Arts industrial arts building excellent work exhibition. 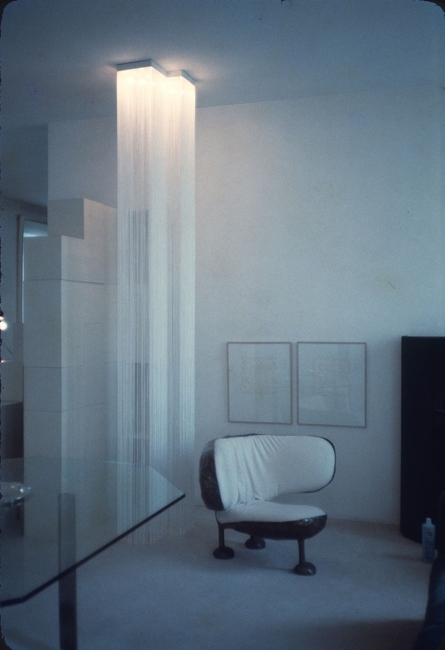 • Architect Emilio Annbhat lets office interior to be based on the Garbo series in the insurance company office space of NY change completely. 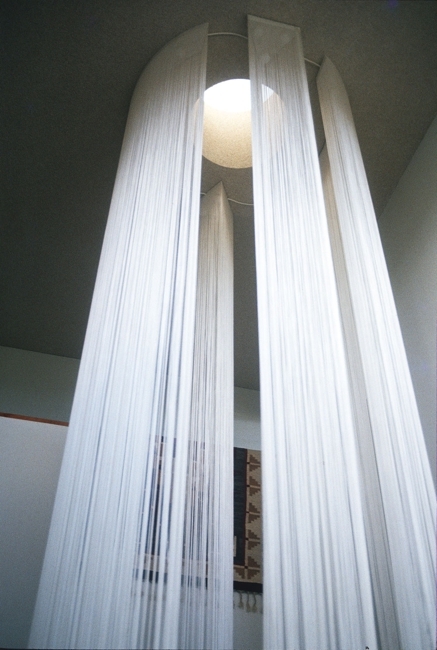 It is famous by having let it hang down Garbo as partitioning screen from a ceiling to the floor, and mysterious, fantastic space direction succeed. 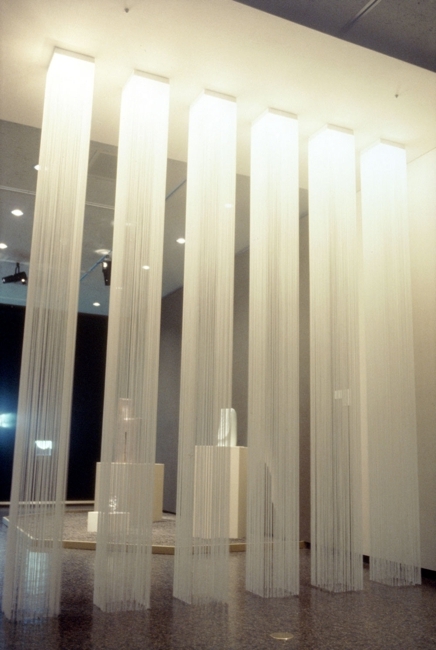 • Since Dino Gavina died and while I do not know it, only a threadlike curtain made in product in Germany, Italy and goes out alone without my permission and used for stage space, quotient space, house space in over the world such as United States, Europe, Japan etc,. 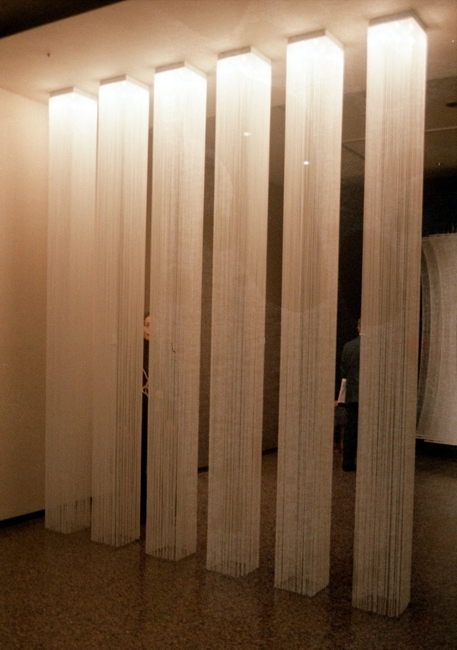 An idea that has also informed your work is the notion of inside/outside, isolation without rigid barriers. 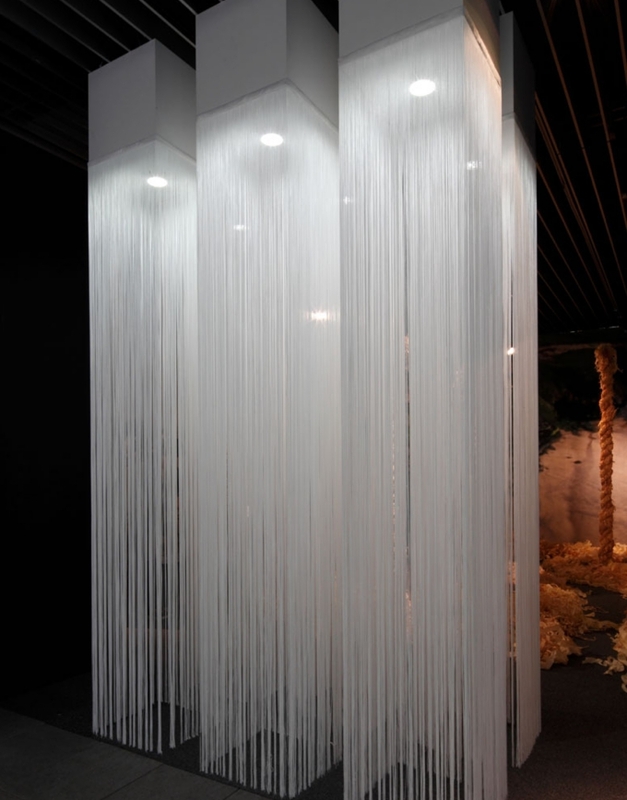 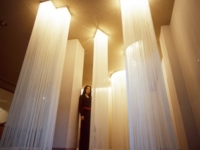 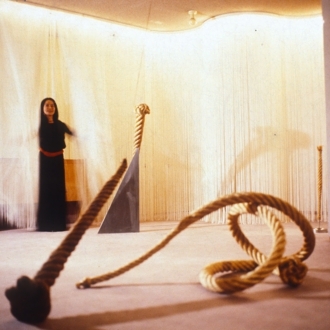 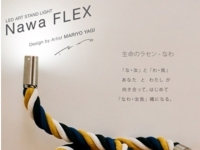 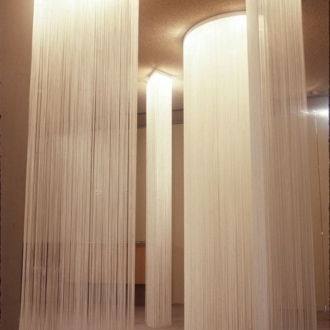 One such creation that expresses this notion is the long-stringed illuminated curtain series, entitled Garbo which were selected for inclusion in the Tokyo National Modern Musuem's collection, and have been replicated around the world. 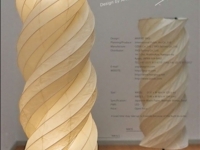 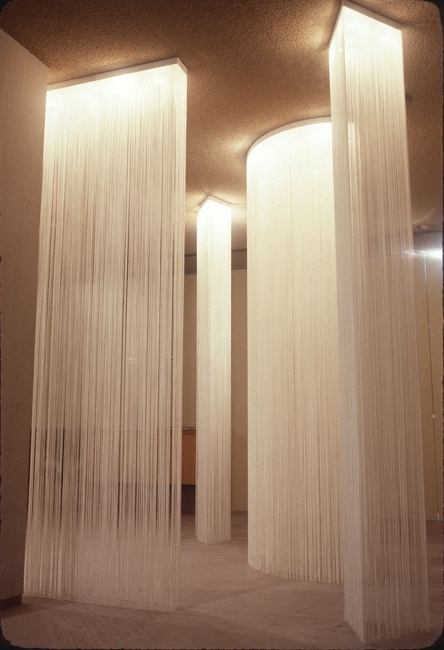 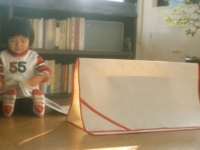 These “light curtains, ” produced by the Italian company Sirrah, were of such a unique design that not only where they selected for inclusion in the Tokyo National Modern Museum's collection, but these curtains have been replicated around the world. 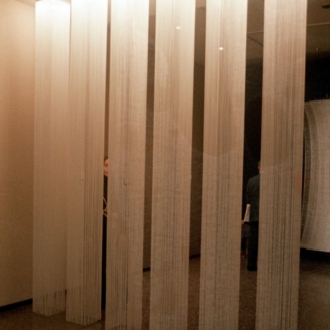 In addition to a lighting source, the curtains provided a screen-like separation similar to the concept of shoji-papered panels, where the division between internal and external is undefined. 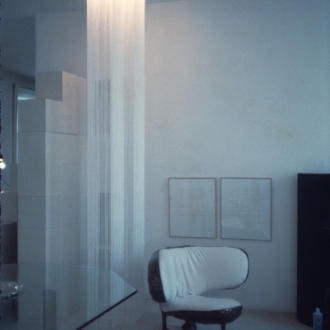 As in Mies van der Rohe’s “universal space ” in which inside and outside flow together; the translucent quality of the light curtain with its softness invites one to touch it, and to move through it with sensual ease. 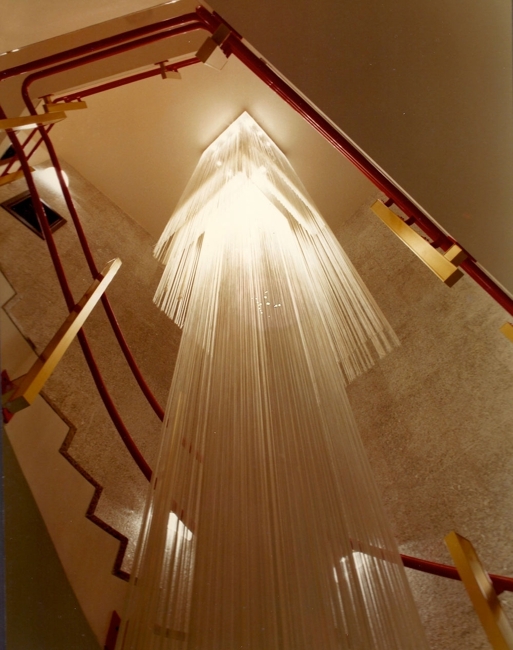 The light she created was less a physical force than an elegant swaying presence, in constant conversation with the shifting silhouettes created by the stringed curtain. 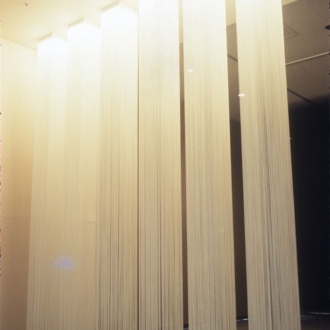 The light curtains reﬂected a continum, where space is mutable; a revelatory interplay of light and shadow reﬂected in so many facets of Japanese art and life. 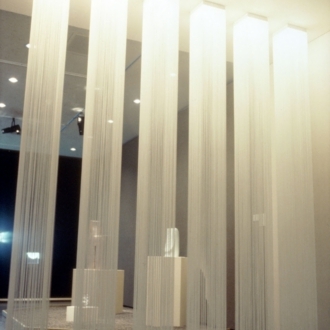 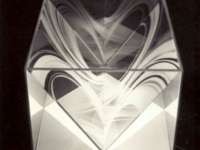 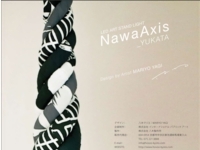 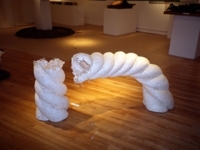 Her art works express a Japanese aesthetic—light and shadow and an exquisite awareness of natural principles.